Read the resolution HERE. Watch the video HERE. GRS is not only highly respected by our clients but by our professional colleagues as well. 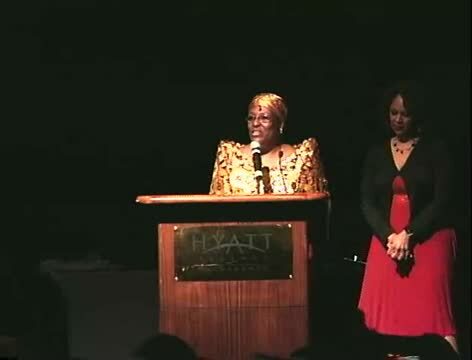 In recognition of our success with providing services to local underserved, vulnerable and high risk communities, GRS has been the recipient of the Lambda Community Fund's “2005 Fighting AIDS Award”, the Sacramento Black Chamber of Commerce's “2007 Public Service/ Community Service Business of the Year Award”, the Court of the Great Northwest Imperial Empire “2011 Humanitarian of the Year Award”, the California Wellness Foundation's "2012 Leadership Award", the "2013 Ava Gardner Victory Award", and the Sacramento Gay and Lesbian Community Center's "2014 Pride Award." 2015 marked the 15th anniversary of Golden Rule Services. In honor of this milestone, GRS was presented a proclamation issued by Sacramento Assemblyman Kevin McCarty. 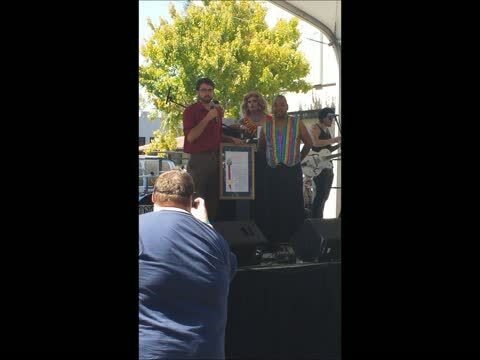 The proclamation was presented Sept. 6, on the Rainbow Festival mainstage by McCarty representative Andrew Becker. The Sacramento PRIDE Awards recognize Sacramento leaders for their community service, leadership and good old fashioned "get it done" attitudes. These LGBT (and ally) activists are synonymous with leadership, service and commitment to their communities. They donate their time and money to helping making our community safer, shattering stigmas, fighting for rights and much more. GRS Executive Director Clarmundo Sullivan the receiving 2012 Sabbatical Program Award. The California Wellness Foundation Sabbatical Program Award was created to improve the long-term effectiveness of health-focused nonprofits by providing their executives with the rest they need to continue to direct their organizations' missions. We are also proud to acknowledge that our Executive Director, Clarmundo Sullivan, was the 39th community-elected Emperor of the Court of the Great Northwest Imperial Empire.